The Nord-Pas de Calais region of France, which includes the city of Lille, is boosting its C&I credentials with continued investment in its hotel infrastructure. The region has close to 40 four-star hotels, two with five stars and a further 30 four-star, two five-star and four deluxe hotels are under construction. Developments include an extension of the five star Hermitage Gantois hotel in Lille, to include an additional 17 rooms and a spa with a pool and treatment rooms, bringing the total number of rooms to 89. In Valenciennes, a former military hospital is being converted into a 75-room four-star property, with work expected to be completed in 2015. 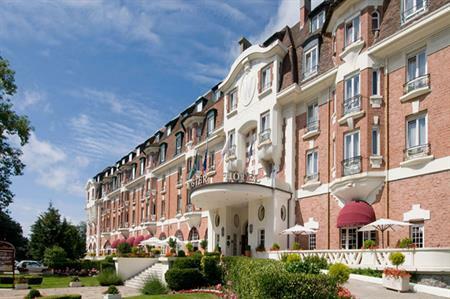 On the Opal Coast, the Touquet-Paris-Place Convention Centre is being redeveloped, with a makeover and a new conference space expected to be added by 2016. The Centre is a multipurpose area including hotels such as the four-star Westminster Hotel & Spa. Calais meanwhile has plans for a conference centre and hotel with restaurant, while two projects are afoot in Boulogne, to include a four-star hotel with 74 rooms and a three-star property with 90 rooms.